I'm baaaack . . .
Hello, loyal fibrinogen amyloidosis blog followers. Long time, no see. I'm still here, alive and kicking, and I don't have any good excuses for the extended absence. Yes, I've been busy with life, the universe, and everything, but that's not much of an excuse. I don't think I will get back to a one post per month pace any time soon but maybe I can aim for one post per quarter. In blog news, the total pageviews for the blog is rapidly approaching a major milestone: 100,000. It should reach that in the next day or two if it has not already. (It was within 100 of reaching it as of the morning of September 30.) At the end of this post I have the monthly blog stats for the past six months, in a consolidated format to make it a little easier to read in case anyone cares. There is not much happening with me health-wise, which is good. I had some lab work done this past week but I do not have the results yet. If there is anything interesting in those results I will do a post for that. In other patient news there is a lot happening in terms of transplants, so much in fact that I may not remember them all. I know of one person who had a combined liver and kidney transplant late last year and another who had the same thing in July. Both are doing well as far as I know. There is another person currently on the waiting list for a liver transplant, and this will likely be the third case ever of a liver-only transplant for fibrinogen amyloidosis. I also became aware of another person diagnosed with fibrinogen amyloidosis earlier this year, and this particular case is interesting for two reasons. The first reason is the age of this patient when diagnosed: 37. The youngest age of onset of any of the other patients I am aware of is approximately 46, and I think the journal articles mention some cases of patients developing symptoms in their mid-40s. 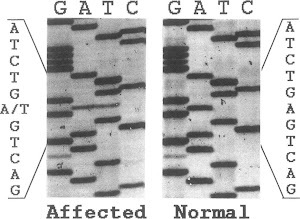 But 37 is definitely the youngest I can recall (for the Glu526Val mutation). As if that was not special enough, the other interesting thing about this case is that there is a long history of kidney disease in the family and they have Portuguese ancestry. You may recall there is a concentration of fibrinogen amyloidosis patients in the Braga district of Portugal. (My most recent blog post about that was in April of 2014.) As of the date of this blog post no other family members of this patient have been tested for the mutation, but I do not think anyone will be surprised if genetic testing does show it was inherited from a Portuguese ancestor. Getting back to some specifics regarding this case, she was found to have elevated creatinine in September of 2017, was referred to a nephrologist, and had a kidney biopsy in November of 2017. That biopsy was positive for amyloidosis but the type could not be determined. She started hemodialysis in February of 2018, and in May the original kidney biopsy was typed by Mayo Clinic as fibrinogen amyloidosis, Glu526Val mutation (or p.Glu545Val using the new nomenclature). She is about to begin evaluation for liver and kidney transplant. Lastly, I am sure we would all prefer to have treatment options other than organ transplants. Unfortunately the number of fibrinogen amyloidosis patients is so small that our best hope is that a treatment developed for other types of amyloidosis will be effective for us, since pharmaceutical companies tend to focus on diseases with larger patient populations. However, there may be some progress in that area. Some of you may be aware of a web site called My Amyloidosis Pathfinder (https://www.myamyloidosispathfinder.org/), also known as MAP, that is for patients with any type of amyloidosis. Once a patient registers on that site, they are notified of treatment centers and clinical trials best suited for their situation. Do you have a rare type of amyloidosis? MAP needs you. Just by knowing about you, we can accelerate research in your type of amyloidosis. A number of companies have expressed an interest in developing products for some of the rarer types of amyloidosis, including AA amyloidosis, beta-2 microglobulin (AB2M) amyloidosis, ALect2 amyloidosis and localized amyloidosis, among others. The more patients there are with a disease, the more likely a company is to develop a product for it. So if you have not already registered at MAP and set up a profile, I hope you will consider it even if you are just a carrier of the mutation without any symptoms. We are like the Whos from "Horton Hears a Who!," and each and every one of us needs to shout, "We are here! We are here! We are here!" That's it for this post. See you next . . . month? quarter? year? FYI, there is not a country named Macronesia but there is a Macaronesia.